In the most recent thriller to hit theaters, a mystery surrounds the sudden disappearance of Emily Nelson (Blake Lively) and the amateur investigation that ensues as her best friend Stephanie Smothers (Anna Kendrick) searches for the truth. Like almost all of the movies in this genre everything is not what it seems, but with the characters in “A Simple Favor” everything is really not what it seems. Directed by Paul Feig, perhaps best known for directing hits like “Bridesmaids and “The Heat,” this thriller takes the audience through a multitude of twists and turns that are rarely predictable. Infused with some of the comedic elements Feig is known for, the film manages to perfect the balance between crafting an interesting mystery while the tone remains relatively light, resisting the temptation to follow in the footsteps of past thrillers. With stylish design and wardrobe along with a powerhouse cast acting to a soundtrack comprised mainly of French music, the film strikes gold by being both aesthetically intriguing as well as narratively. Emily Nelson, an enigmatic and hard-drinking public relations executive, disappears seemingly as soon as she arrives. Emily is effortlessly high-class. Exclusively dressed in impressive clothes and with a house that belongs on an HGTV top ten list, her blonde hair and natural beauty are quickly revealed to just be surface-level attributes to the character. Anna Kendrick playing opposite Lively, deftly navigates her own character’s complexities quickly switching from involved mother, mommy blogger, amateur sleuth and a woman with her own secrets to hide. Kendrick, an actress who has become known for her endearing and quirky personality was expertly cast in the role because it’s hard to see anything dark about her. Emily’s husband comes in the form of Henry Golding, the breakout star of this summer’s biggest hit “Crazy Rich Asians,” further enhancing the sheer star power on screen. The mystery surrounding Emily’s disappearance is unraveled slowly and intentionally with each new discovery clearing up one question while simultaneously creating even more. Due to the nature of the story, trailers and previews are a tricky thing to create. Revealing enough about a story to entice movie-goers without spoiling the mystery is a tightwire act often resulting in a lackluster preview to the film. In “A Simple Favor’s” case, the trailer told you very little aside from Emily’s disappearance but you’ll be glad not a single thing was given away. The winding narrative goes to unexpected places time and time again throughout the movie’s two-hour run with an unpredictability that is rarely achieved. 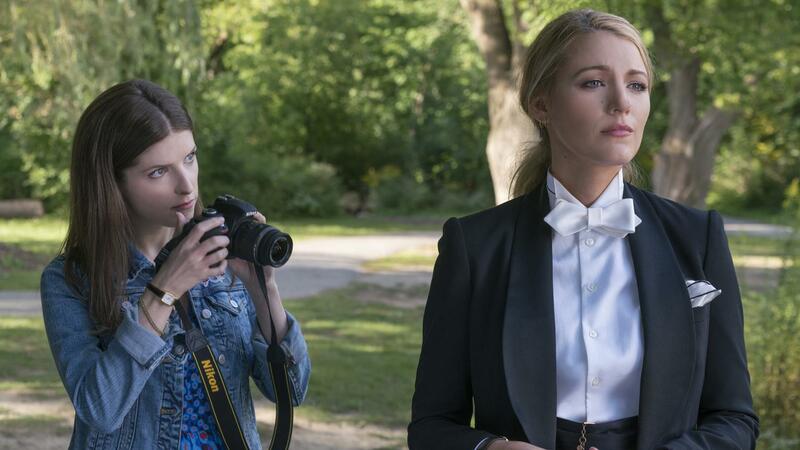 So, without giving anything away, “A Simple Favor” is one of the best mysteries to come out in recent years and a movie well worth your time, and multiple viewings.